You are here: Home » GENRE » Fantasy » Terry Pratchett’s The Watch coming to TV screens. Terry Pratchett’s The Watch coming to TV screens. The Watch, based on Terry Pratchett’s Discworld novels, is to become an 8 episode (each 60-minutes long) TV series, produced by the BBC. This comedy thriller centres on Terry Pratchett’s misfit cops as they fight to save a ramshackle city of normalised wrongness. 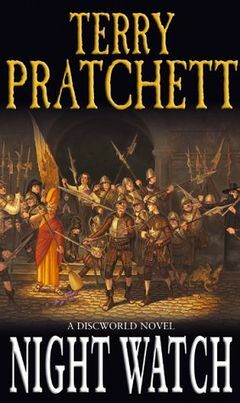 The Watch features many Discworld creations including City Watch Captain Sam Vimes, the last scion of nobility Lady Sybil Ramkin, the naive but heroic Carrot, the mysterious Angua and the ingenious forensics expert Cheery together with Terry Pratchett’s characterisation of Death. The Watch was commissioned for BBC AMERICA and written by Simon Allen (The Musketeers, Das Boot and New Tricks), executive produced by Hilary Salmon (Luther, Silent Witness and Three Girls). Phil Collinson (Doctor Who) also joins the team as executive producer. “The Watch has been startlingly re imagined for television by writer Simon Allen, while still cleaving to the humour, heart and ingenuity of Terry Pratchett’s incomparably original work,” added BBC AMERICA President, Sarah Barnett. Dodger by Terry Pratchett (book review). « Science fiction novelist Jeremy Szal signs with Gollancz.